I come across quite a few suggestion on Twitter. Let us try out those. The package installs a shell script that overrides the existing shutdown/reboot/halt/poweroff/coldreboot/pm-hibernate/pm-suspend* commands and first runs a set of scripts, which all have to exit successfully, before molly-guard invokes the real command. One of the scripts checks for existing SSH sessions. If any of the four commands are called interactively over an SSH session, the shell script prompts you to enter the name of the host you wish to shut down. This should adequately prevent you from accidental shutdowns and reboots. That’s right. It is now part of all of my Debian and Ubuntu servers automation tasks done using Ansible tool. 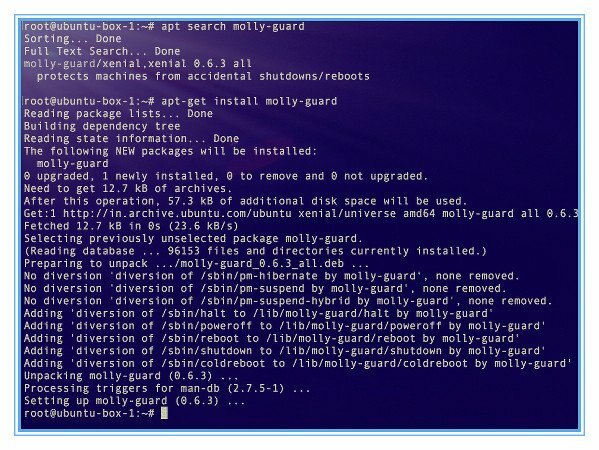 What if molly-guard not available on my Linux distro or Unix system like FreeBSD? alias reboot="echo 'Are you sure?' If so, run /sbin/reboot"
alias shutdown="echo 'Are you sure?' 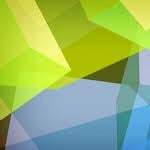 If so, run /sbin/shutdown"
## bash shell example ### alias reboot="echo 'Are you sure?' If so, run /sbin/reboot" alias shutdown="echo 'Are you sure?' If so, run /sbin/shutdown"
Another option is to write a shell/perl/python script calling these and asking confirmation for reboot/halt/shutdown options. 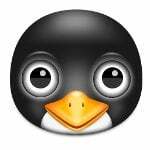 How do I install this on CentOS 7 server?